Matt Chan 25:06. Bill Grundler 25:49, Moe Kelsey 29:46, Graham Holmberg 36:31, Jeff Tincher 44:31. Jeff Vale 48:46. Post time to comments. 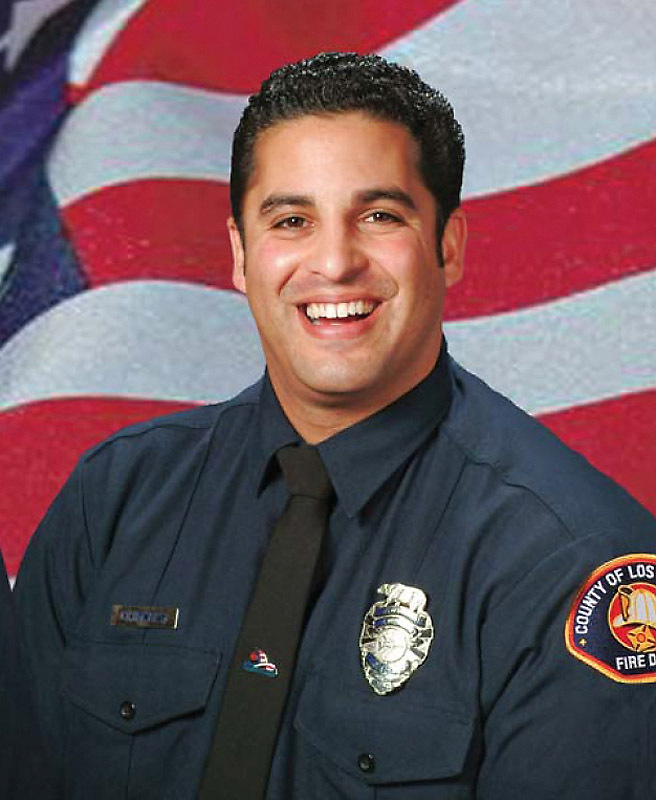 Los Angeles County Fire Fighter Specialist Arnaldo "Arnie" Quinones, 34, was killed in the line of duty on Sunday, August 30, 2009 during the Station Fire. His emergency response vehicle went over the side of the road and fell 800 feet into a steep canyon during fire suppression activities protecting Camp 16 outside the City of Palmdale, CA. He is survived by his wife Lori and daughter Sophia Grace, born three weeks after his death.